Diesel Pro Power is proud to offer you all the replacement parts that you will need for your. We carry everything from mechanical products to electrical gauges with 12 Volts power usage. 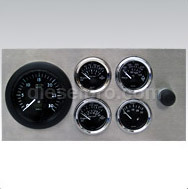 If you're running an engine that operates at maximum efficiency with 12 volt electrical gauges, we are the company to turn to when you need replacement parts. 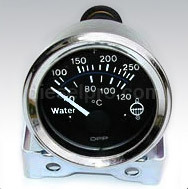 Of course, there are numerous types of gauges, and we make it a point to carry all of them in our inventory to better accommodate your needs. Some of the most commonly ordered electrical gauges that we sell include electric oil gauges, water gauges, tachometers, and much more. 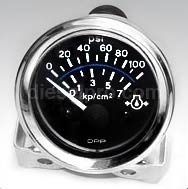 It is essential that all the meters on your Diesel engine are working properly since they give you critical information on the performance of your engine. For instance, when the fuel meter indicates that the fuel in your engine is low, then you know it's time to refuel your engine. Likewise, when the water level is getting low in your engine, the water level gauge tells you to add more to it in order to prevent burning out your engine. If you notice that your gauges aren't moving, are stuck, or are otherwise broken, it might be time for you to invest in a replacement gauge. 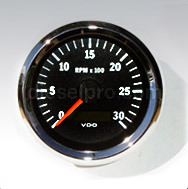 We have all the replacement gauges that you could possibly need. And to top it off, we also ship internationally. All shipments are sent within 24 hours of you placing your order on our site. With Diesel Pro Power, there is no need for you to go on a statewide hunt for the electrical gauges that you need. We offer them conveniently online so that you never have to leave the comfort of your home or office to get what you need for your Detroit Diesel or Cummins engines.